As foreign ministers lay groundwork for Tokyo-Moscow territorial talks, what are the issues and obstacles? Foreign Minister Taro Kono met his Russian counterpart, Sergey Lavrov, in Moscow on Monday in a bid to lay the groundwork for a key diplomatic goal being pushed by Prime Minister Shinzo Abe — winning back at least some of the territory off Hokkaido seized by the Soviet Union in the closing days of World War II. Kono’s meeting was arranged to prepare for the upcoming summit between Abe and Russian President Vladimir Putin, most likely to also be held in Moscow on Jan. 21. The outcome of the territorial talks between the two leaders — an issue Abe is trying to settle once and for all — could even affect the political fortunes of the prime minister, who is set to face an Upper House election in July. What is the focus of the negotiations to come? Abe and Putin agreed in their meeting in Singapore last November that they would accelerate talks to conclude a bilateral postwar peace treaty, and that the foundation of their talks would be the 1956 joint declaration signed by the two countries, which stipulates Russia would hand over two small islands — Shikotan and the Habomai islet group — of the disputed territory. This apparently indicates that Japan may give up its sovereign claims to the two larger islands — Etorofu and Kunashiri — because the 1956 document does not mention those two at all, observers say. But Putin also noted after the meeting that the 1956 joint declaration does not specify which country sovereignty of the two islands belongs to. Thus the first major hurdle for Abe to overcome will be to have Putin admit that the sovereignty of at least the two small islands belongs to Japan. Russia, however, has maintained a tough stance as far as public comments have been concerned. Russian media reported Sunday that Maria Zakharova, spokeswoman of the Russian Foreign Ministry, said that the key condition for resolving the territorial issue is Tokyo’s unconditional recognition of the outcome of World War II, including Russia’s sovereignty over the four disputed islands. At a news conference on Dec. 7, Lavrov said: “Concluding a peace treaty means nothing less than recognizing the outcome of World War II. We keep telling our Japanese partners that this is an absolutely indispensable first step if we want to conclude a peace treaty. “Otherwise we won’t be able to discuss anything,” he added. Those remarks echo Russia’s long-held argument that Russia legally obtained the islands based on the Yalta Agreement signed by the Soviet Union, the United States and the United Kingdom in Crimea on Feb. 11, 1945. The agreement, which was kept secret until February 1946, stipulated “the southern part of Sakhalin as well as all islands adjacent to it shall be returned to the Soviet Union” and “the Kuril islands shall be handed over to the Soviet Union” if the Soviet Union wages war against Japan. But Tokyo has argued that the secret agreement does not bind Japan and the occupation of the four islands is thus illegal. Japanese officials have argued that Japan had peacefully controlled all of the four islands and that no countries had disputed that issue before the invasion by the Soviet Union. What are other key obstacles to the negotiations so far? The strategic military importance of the four islands, in particular Etorofu and Kunashiri, is another big issue. Russian strategic nuclear submarines, which carry ballistic missiles capable of hitting the United States mainland, are believed to be regularly deployed in the Sea of Okhotsk, adjacent to Etorofu and Kunashiri. For Russia, stationing a nuclear force in the area provides critical nuclear deterrence power against the United States because strategic nuclear submarines based there would be capable of staging a catastrophic counterattack in case of a nuclear war. 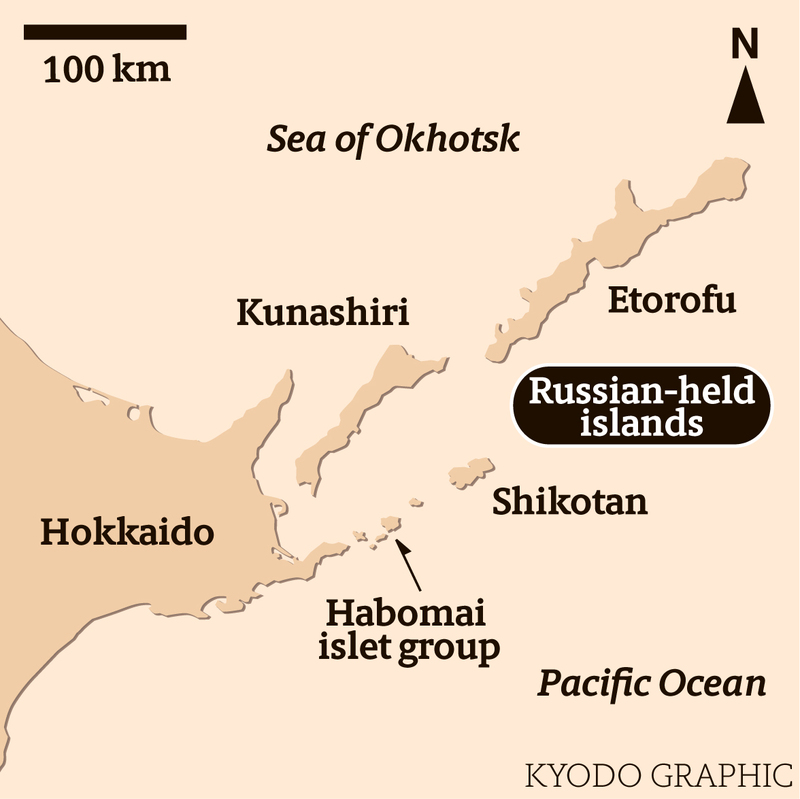 Meanwhile, the channels between the four disputed islands, in particular Etorofu and Kunashiri, are considered key routes for the Russian submarines to travel between the Sea of Okhotsk and the Pacific Ocean, military analysts point out. During his annual news conference in Moscow on Dec. 20, Putin also expressed concerns that the U.S. may deploy military units on some of the disputed islands if Moscow ever hands them back to Japan. “We do not know what will happen after the peace treaty is concluded, but without an answer to this question it will be very difficult to make any crucial decisions,” he said. Putin also has expressed concerns over the U.S.-made Aegis Ashore anti-missile defense units that Japan plans to deploy in Akita and Yamaguchi prefectures to defend against any North Korean ballistic missiles. “We do not consider this to be defensive weapons; this is part of the U.S. strategic nuclear potential placed outside. And these systems, they are synchronized with the missile strike systems,” he said. 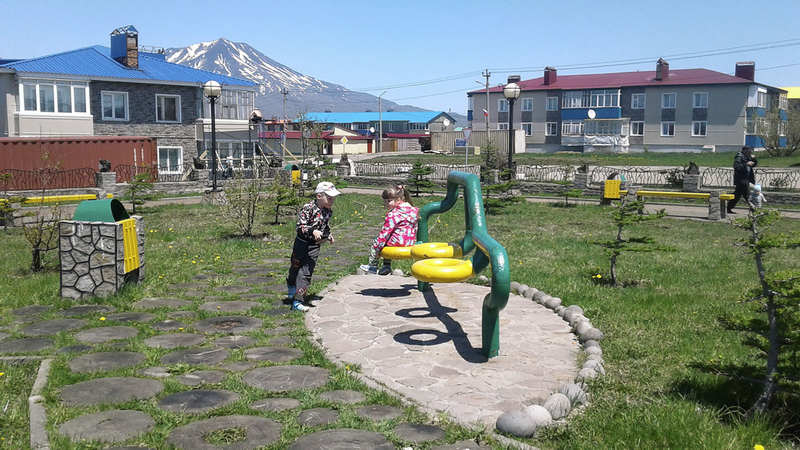 Currently thousands of Russian residents live on the disputed territory, and Russia’s central government recently beefed up the military presence there. Isn’t it politically difficult for Moscow to hand over any of the islands? That’s another headache for Japanese diplomats engaging in territorial talks. As of January 2017, about 5,500 people lived on Etorofu, 8,200 on Kunashiri and nearly 3,000 on Shikotan. On the Habomai islet groups, only national border security guards are stationed there, according to the Hokkaido Shimbun. 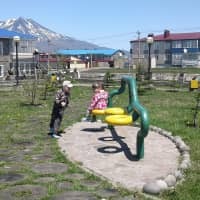 Russia, meanwhile, invested ¥48 billion from 2007 through 2015 to build social infrastructure such as roads, ports and housing on the four disputed islands. From 2016 through 2025, another ¥120 billion is budgeted for the islands. In 2016, Russia deployed anti-ship missile units on Etorofu and Kunashiri. According to Kyodo News, by 2020 the Russian military plans to station more ground-to-ship missile units so that they can cover all of the Kuril Islands and the disputed islands off Hokkaido. Is there any motivation for Moscow to return any of the disputed islands to Tokyo? Views of Japan-based experts are split. Some say Russia is now just trying to win more economic and political concessions from Japan and will not give back any of the islands. 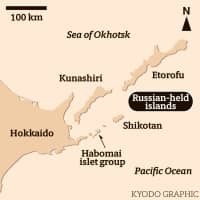 Others believe Putin has some reasons to consider handing over at least the two smaller islands — Habomai and Shikotan — given Moscow’s recent political isolation in international society and the benefits it would win from economic cooperation with Japan. The Group of Seven developed countries slapped sanctions on Russia after it invaded Ukraine and took over the Crimean Peninsula in 2014. Russia is also trying to sell more fossil fuels in the Asian market, said Nobuo Shimotomai, professor of Russian studies at Hosei University. “I think Russia does have some motivations. Moscow now has no choice but to shift its focus to Asia, given its isolation in Europe,” he said.